Things to do and see plus other activities in San José del Cabo. 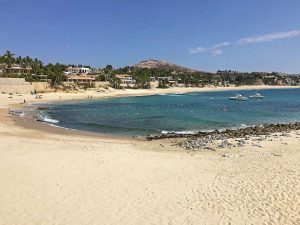 Although inviting, many beaches in the Los Cabos area are not recommended for swimming or may be designated as non-swimmable at particular times. This is due to the strong ocean currents where the Pacific Ocean meets the Sea of Cortés. There are still many reasons why you would want to search the beaches in the area to enjoy the waves, the pristine golden sand and sparkling azure water. The Catholic Church located in El Triunfo, Los Cabos, Baja California Sur. Don’t miss the Los Cabos Baja adventure. There are several options for San José del Cabo Day Trips to nearby areas of Baja California Sur, Mexico. 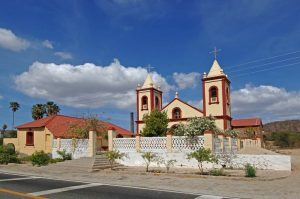 A visit to El Triunfo, Mira Flores, Caduaño, Pescadero, Todos Santos, La Paz, the East Cape or Los Barriiles is an easy one to two hours driving time from Cabo San Lucas or San Jose del Cabo in the Los Cabos area. Loreto Bay is bit further.